As much as we love WhatsApp, the world’s most used messaging app does have its problems. 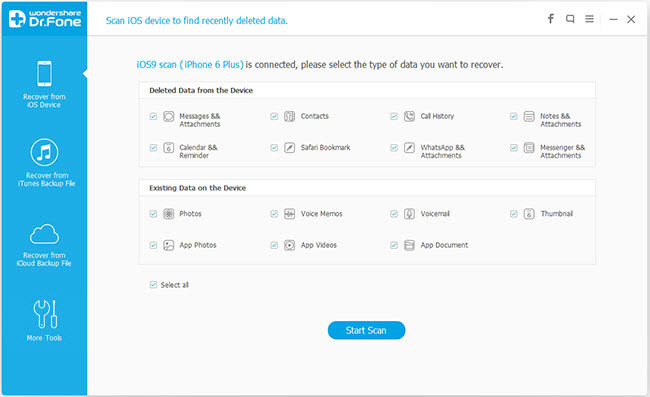 One of the main issues that users face with the app is data loss. 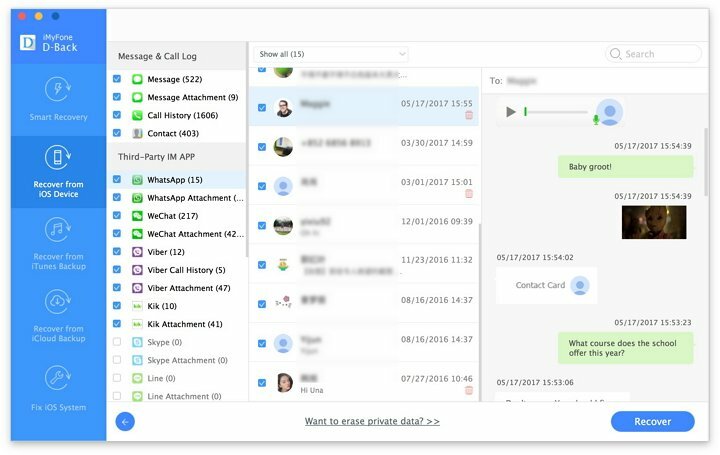 While some of the data loss may not be as a result of a problem with the app but of the device itself, it is still necessary to learn how to recover lost WhatsApp messages and attachments. Having a backup of the data lost makes recovery very easy but sometimes you can lose data that you had yet to backup. In this case, you need a reliable WhatsApp Recovery program to help you get your messages back. 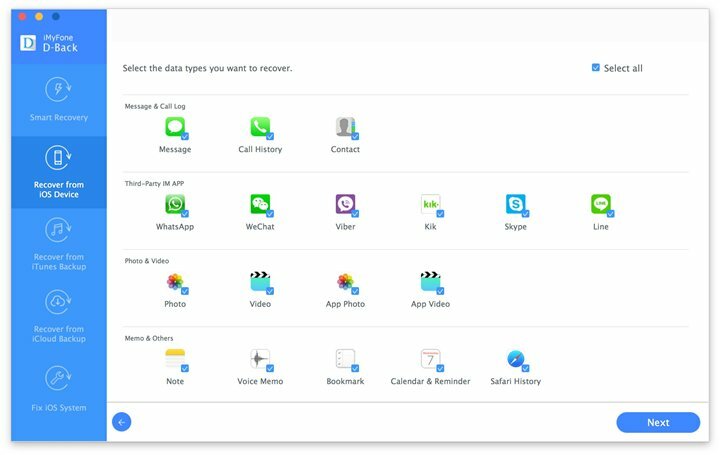 This article takes a closer look at the top 5 WhatsApp Recovery Programs. Here's how all the 5 data recovery programs we have highlighted compare to one another. 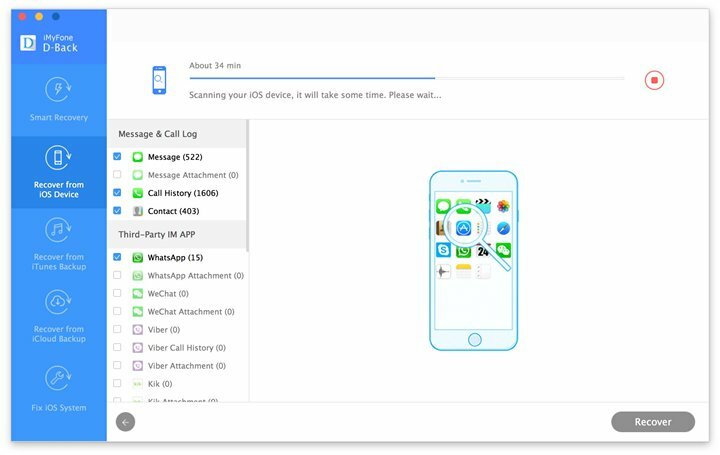 iMyFone D-Back iPhone data recovery for Win or iPhone data recovery for Mac is by far the best iPhone WhatsApp Recovery program for a number of reasons. First, it is efficient and very easy to use. You can simply choose the type of data you want to recovery and finish the whole recovery process in just a few minutes. It’s user interface is well designed, pleasant to navigate and very easy even if you are not familiar with the data recovery process. It is also useful in the recovery of 22 other types of data including contacts, calendar, messages, call history and many more. It is very easy to use with an intuitive user interface. Scanning and the consequent recovery of data is very fast. 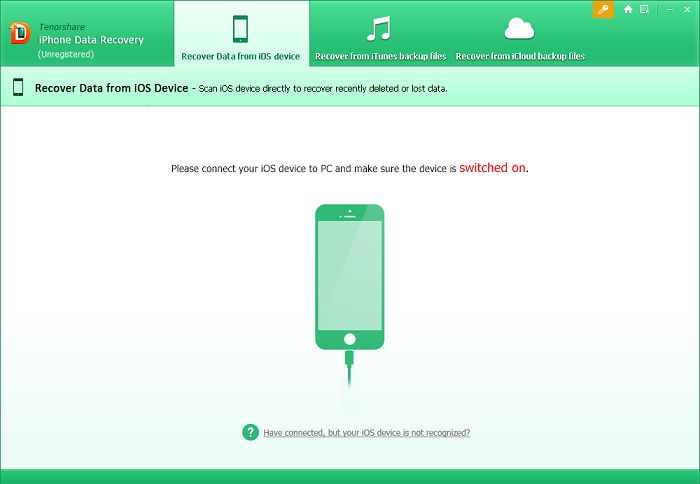 Can recover data from an iTunes or iCloud backup. Supports all iOS device models and also iPads and iPods. Here’s how to use iMyFone D-Back to get back the deleted WhatsApp messages from iPhone. Step 1: Download and install the program to your computer and then open it. Step 4: When the scanning process is complete, select the missing WhatsApp messages from the results and then click “Recover” to save them to your computer. Another highly popular data recovery program that you can use to get back your missing WhatsApp data. It is also quite reliable in data recovery and easy to use even for the beginner. All you have to do is connect the iPhone to your computer and the program will scan it for the missing data. It has an easy to use, intuitive user interface. Tipard iOS Data Recovery is another tool you can use to recover your missing WhatsApp data. It works with all iOS devices and works just as easily as the other two we have seen. It also comes with a preview function that allows you to view the files you are recovering before recovery. 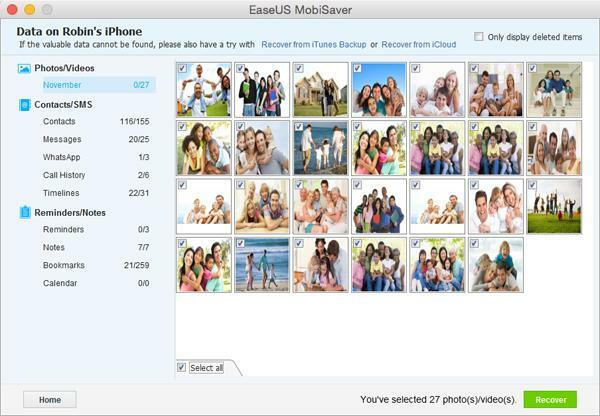 It can recover most files from your iPhone. Tenorshare gives you the option of recovering your lost WhatsApp messages directly from the iPhone, an iTunes backup or an iCloud backup. It can also recover an additional 16 different types of files including videos, photos. Messages and call history and many others. The free trial version is fully functional. You can only use the program for a single iPhone model. If you have an iPhone 7 and iPhone 6, you have to purchase the program twice. With this data recovery tool, you an easily scan your device for the missing WhatsApp data and then select the ones you want to recover. It is quite easy to use and also comes with a clean, user-friendly interface. 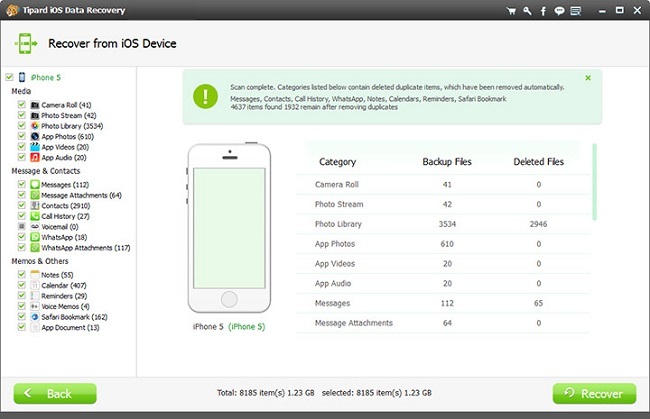 It also ideal for the recovery of other types of data including call history, calendar, photos, videos and many more. Its preview function is especially reliable. It doesn’t come with an iCloud recovery feature.